AVG Antivirus offers basic antivirus protection for Windows, Mac, and Android. AVG Antivirus has scored very high test results when it comes to protection against 0-day malware attacks and detection of widespread and prevalent malware. All in all, if you’re looking for a basic, effective antivirus, AVG is a good option. Features: Protection from viruses, spyware, ransomware, and other malware; it also blocks unsafe links, downloads, and email attachments, scans for PC performance problems, and provides real-time security updates. Ease of Use: Very easy to use; its dashboard was redesigned recently and is now more straightforward than ever, making it a good option for techies and non-techies alike. Reliability: For what it offers, AVG is extremely reliable. However, like any basic package, its features are limited. Therefore, if you’re for more advanced protection, you would do better with a more-inclusive AVG package. Value: The value you get for your money is pretty high with AVG; you are essentially getting virus protection at no cost. Again, however, any advanced features will cost you a minimum of $55.99/year, which is on the high-end of the spectrum for antivirus and internet security. Money-Back Guarantee: AVG does offer a 30-day free trial for its Internet Security package ($55.99). There is no free trial for AVG’s largest package, AVG Ultimate ($79.99), but that’s okay—AVG Ultimate is a combination of Internet Security and TuneUp, and you can download a free trial of the individual components. AVG Technologies has been producing antivirus products for over 20 years; in 2016, it was bought by Avast Software, another well-known name in the internet security industry. AVG’s antivirus product offers basic, high-quality malware protection for any PC, making it a good option for users who need essential protection and don’t want to pay a lot of (or any) money. AVG also received an Advanced+ Award (the highest level) from performance tests run by AV Comparatives, another independent software testing company. AVG Antivirus is similar to some versions of Bitdefender, Avira, and Kaspersky antivirus programs. However, those 3 companies also offer a paid version of Antivirus software, whereas AVG does not. AVG also offers individual products for sale, such as AVG VPN and AVG Driver Updater. In addition to the extra features that AVG Internet Security offers, the main difference between that and the Antivirus is the cost. AVG Antivirus's Internet Security package costs $55.99/year (though it does come with a 30-day free trial). AVG also offers AVG Ultimate, which is the Internet Security package combined with the AVG TuneUp Unlimited package, which makes your PC, Mac, or Android run faster and more efficiently. Separately, the Internet Security package costs $55.99/year and the AVG Ultimate package costs $79.99/year. AVG Antivirus is very easy to use. To install it, you simply follow the prompts from your computer and then you can check your computer’s status on the sleek dashboard. The dashboard shows you how your computer is protected with the antivirus, and how it could be protected if you order the Internet Security package. If your computer is threatened by malware, you’ll receive a notification. You can also run computer scans manually. While the antivirus itself is easy to use, the Internet Security package did not score too well for computer performance especially when compared to the industry average. However, it still received 5/6 stars, which means it won’t turn your computer into a dinosaur. In short, if it takes you a bit longer to launch websites or download apps, AVG might be the culprit. AVG Antivirus achieved very high scores for protection against 0-day malware attacks, detection of widespread and prevalent malware discovered in the last 4 weeks, and real world protection. In fact, it scored 6/6 stars for protection from AV-Test, and it received the highest award for Malware Protection from AV Comparatives. AVG Antivirus provides high-quality basic protection, which means that you are getting a lot of value. However, if you want any extra feature, you’ll need AVG Internet Security, which is average or slightly above average in terms of cost. AVG Ultimate is AVG’s highest-level package, and at $79.99/year, it gives you fairly good value for the features it offers. 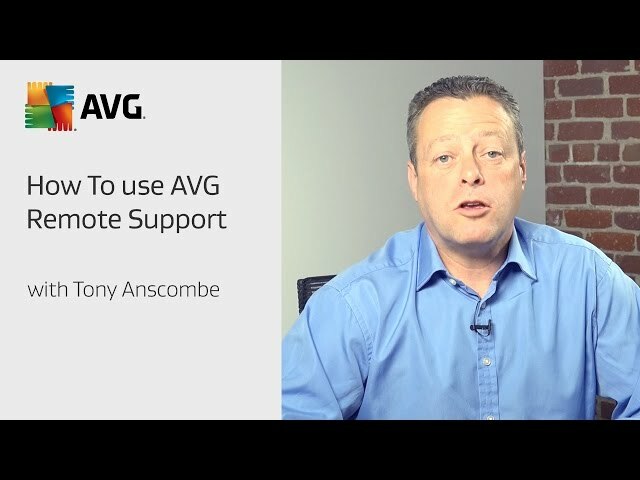 AVG has comprehensive support pages where users can browse information according to topic. If your question isn’t answered through the support pages, you can contact Technical Support or Sales Support by filling out an online ticket. AVG also has a YouTube channel, AVG Academy, that is stocked with concise, helpful videos on a variety of topics. If you need more than just regular support, AVG offers Premium Support, the price of which depends on each individual/company’s needs. To get a price quote for Premium Support, you can call AVG and speak to a representative. (As AVG has offices all over the world, the number you call will depend on where you are located). AVG Antivirus is easy-to-use, convenient, and offers basic protection. One of the advantages that AVG Antivirus has over other products is that it’s available on PC, Mac, and Android—some free antivirus programs are only available on PC. However, those who have Apple devices will have to wait until AVG develops iOS-compatible software. Once the software is installed, your computer will be protected from malware and other attacks, but the dashboard will constantly show you that with the upgraded (paid) version, you could be getting a lot more protection. AVG’s upgraded packages include Internet Security and AVG Ultimate, both of which are average priced, bordering on the more expensive end, when compared to similar products. AVG Antivirus is a great option if you need is basic protection from viruses and malware. It scored high marks from 2 independent software testing companies, and installation couldn’t be easier. However, if you are interested in upgraded protection, you may find that other brands offer comparable protection and features at a lower cost. AVG Technologies was founded by Jan Gritzbach and Tomáš Hofer in 1991 under the company name GRISOFT /C/ SOFTWARE, spol. s r. o. It was rebranded as AVG Technologies in 2006, many years after its first licenses were sold in Europe and the United States. Over the course of its history, the company has gone through numerous transitions and restructuring, the latest of which happened in 2016, when Avast Software acquired the company for $1.3 billion. Today, AVG is is headquartered in Brno, Czech Republic and Amsterdam, Netherlands, with offices all over the world. The Top10 Antivirus staff is comprised of professionals with a vast knowledge across the world of antivirus technology and companies. Members of our international team have extensive first-hand online experience in utilizing strategies for supporting individuals with antivirus software and copywriting and editing for various online and print publications.